Up until recently, I always rolled my eyes whenever I heard someone talking about going on a “detox.” Many of the people who loudly announce their impending detox do so not because they know it’ll be good for them, but because it’s fashionable. I’d seen far too many posers making such announcements, and heard of far too many cases where some of the more outlandish detoxes had caused serious harm, to respond otherwise. But then I became a health coach, and all of a sudden people who had an impressive reputation were talking about detoxes. People who knew their stuff, who had or still were members of the medical community but who had their eyes on the holistic health prize. And the more I thought about it, the more it made sense. You see, it just so happens that we live in a toxic world. You have but to look around you to realize this slightly alarming fact. The air you breathe is toxic — not just in the city or on the highway, but inside your own home. All that new furniture you just bought is loaded with formaldehyde and various other carcinogenic unpronounceables, you’ve got mold growing in countless damp nooks and crannies around the house, and even your pillow and mattress are enveloping you in a cloud of noxious VOCs every single time you sleep. And that’s just the air. Then there’s the pesticide-coated produce you eat, the fluoride and chlorine-laden water you drink, and the hormone-unbalancing plastics you touch. Throw in constant stress and anxiety, and you’re well on the road to a truly toxic lifestyle. That’s a whole lot of toxic, and in most cases, it’s far more than your poor overworked liver can handle. With your liver working overtime to process and eliminate these toxins 24/7, it’s got no time for a vacation… and we all know what happens when you don’t get that all important vacation time: a tantrum! And you really don’t want your liver to have a tantrum. So how do you know when enough is enough? What signs can you look out for to determine that your body needs a detox? Let’s find out! If you’re experiencing daily fatigue, you may be in need of a detox. If you’re suffering from at least three of these signs, there’s a good chance your liver may be in serious need of a detox. And I’ve yet to meet someone who hasn’t been suffering from three or more of these conditions — most people’s livers are in very dire straits indeed. The purpose of this article isn’t to explore the vast array of detox programs that are circulating the net as we speak. There’s just too darn many to summarize in one post, and it’s my opinion that you don’t necessarily need a dedicated program or diet to detox your body anyway. Here are some simple steps to support your liver in its quest to rid your body of accumulated toxins. The family of crucifers includes broccoli, cabbage, cauliflower, collard greens, brussels sprouts, bok choy and arugula. All of these nifty little veggies contain glucosinates, natural compounds that help to increase detoxification and speed elimination of harmful toxins from the body. They’re so powerful that countless studies have even shown they can drastically reduce our risk of cancer. Ideally, try to eat several ounces of cruciferous vegetables per day, three to four days per week to enjoy their awesome detoxifying effect. Any more, and there’s a small chance that they may start to interfere with thyroid function. When you need a detox, alcohol should be one of the first things to go. There’s a reason why someone is considered “intoxicated” when they’ve had too much to drink. They’re literally in a state of toxin overdose, and their crazy drunken antics are merely fueled by a body and brain that are working overtime to rid the body of these toxins. Which isn’t to say that I don’t enjoy an alcoholic beverage on occasion! But if you’re serious about detoxing, you should really cut back on thealcohol. Try cutting out the booze for three weeks and see if you feel any different — I’d be willing to bet that you do. Studies show that many critical markers of health, especially mental health, improve by removing alcohol from our bodies. 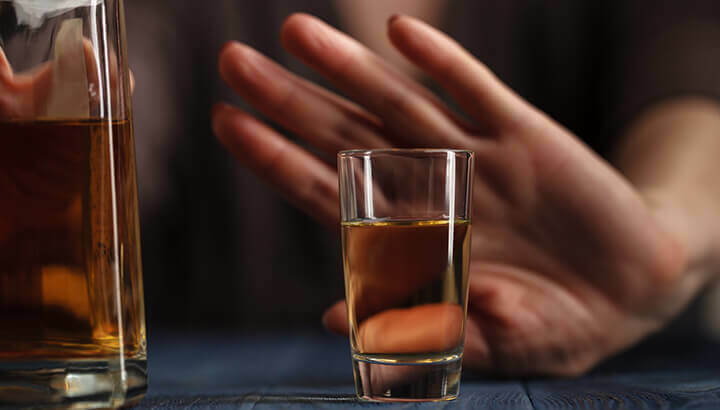 What’s more, if you’re already on a detox program but continuing to drink, that alcohol could be completely derailing your efforts. Sure, you’ve heard about antioxidants and know they’re a good thing: but have you got any idea why they’re good? The process of detoxification is not a straightforward process, and for every toxin metabolized there is also one free radical molecule generated. Free radicals, as you no doubt have heard, can damage many of the cells in our bodies and speed up the process of aging and inflammation, making life a whole lot less enjoyable. Antioxidants block the process of oxidation by interfering with the action of free radicals, meaning they’re a critical component of an effective detox program. Some of the most critical antioxidants are vitamin C and E, but other foods rich in carotenoids and flavonoids are also critical sources of antioxidants. Unless you plan on eating three oranges a day, it might be best to supplement with a high-quality form of vitamin C during your detox, along with a good vitamin E supplement. Carotenoids can be had in large concentrations from (you guessed it!) carrots, along with other orange foods like pumpkin, squash and sweet potatoes. Foods rich in flavonoids include parsley, green tea, berries, onions and dark chocolate. And by dark, I mean greater than 72 percent cocoa solids — don’t be fooled by the wrappers claiming to dark chocolate when they’re less than 72 percent!